The winter months can be tough! Not so much here in California, because we just get some rain here and there - but in general, those months are tough for our skin, our hair and our nails. I have been doing my best to take care of my skin since the moment I turned 17, but my hair has been another story altogether! 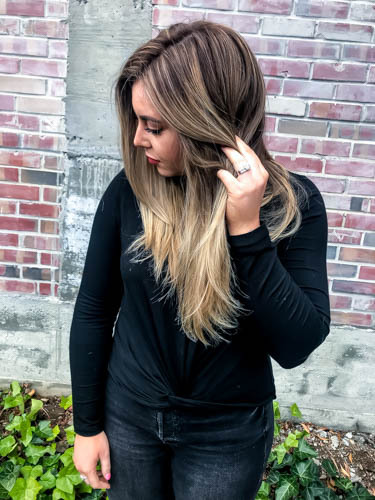 I have been dying my hair since high school - primarily going lighter, then darker, then lighter again. As a result, my hair has experienced constant damage and breakage! It's not a cute look! I only perpetuate more damage by consistently hot ironing my hair, curling it, air drying it, etc. 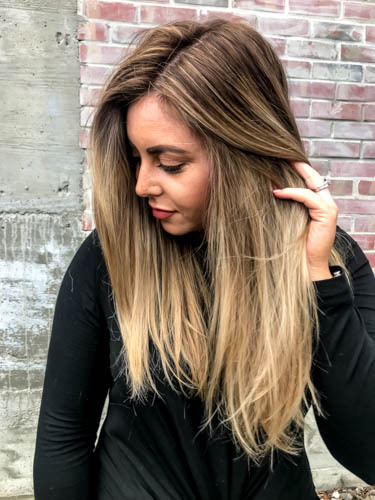 This weekend I got my hair done (and went a little blonder again), and my hairdresser used a new product on my hair I'd never used before. She used the R+CO High Dive Moisture + Shine Creme, and I swear I have not felt my hair this soft in SO long!! I ended up buying the product for myself before I left the salon because I needed to figure out how to recreate this look for myself when I got home. We didn't even cut my hair at all - which usually helps with breakage and damage, and this stuff made my hair feel like it hasn't in so long! 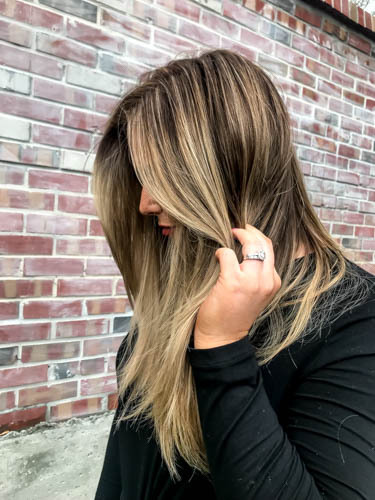 As winter continues for a little while as we lead into spring, I've listed some of my favorite haircare products below. This detangling spray tops my list, also from R+Co. How do you help protect your hair during months like these when the weather is tough?